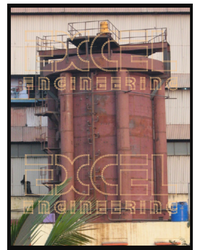 Leading Exporter of sugar mill vertical crystallizers from Pune. We offer vertical crystallizers that are manufactured in mono designs. Our vertical crystallizers have made a significant presence in the sugar manufacturing industry with unique features that distinguish them from those made by the competing manufacturers. Looking for Vertical Crystallizers ?